Set on the fringes of Ranthambore National Park, Rajasthan tiger territory, the Aman-i-Khas is a luxury camping experience that puts you in touch with India’s exotic wildlife. The resort’s 10 tents offer every creature comfort possible, and the pleasure of being waited on by the Aman’s exceptional personal butler service while discovering the raw beauty of nature. Aman-i-khas provides private butlers for every tent. 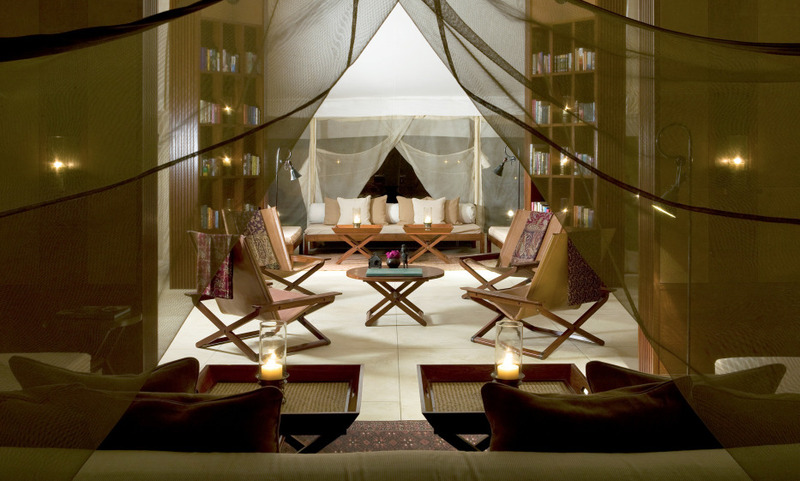 Its own private Spa tent and in-house library for leisure and relaxation. The camp own small private lake where dinners could be hosted.